The UK is proposing reciprocal non-regression commitments on environmental standards, in addition to a reciprocal commitment to ongoing environmental cooperation. The UK will introduce an independent, statutory body to hold the government to account on its environmental protections and obligations in England, and have consulted on the body’s remit. 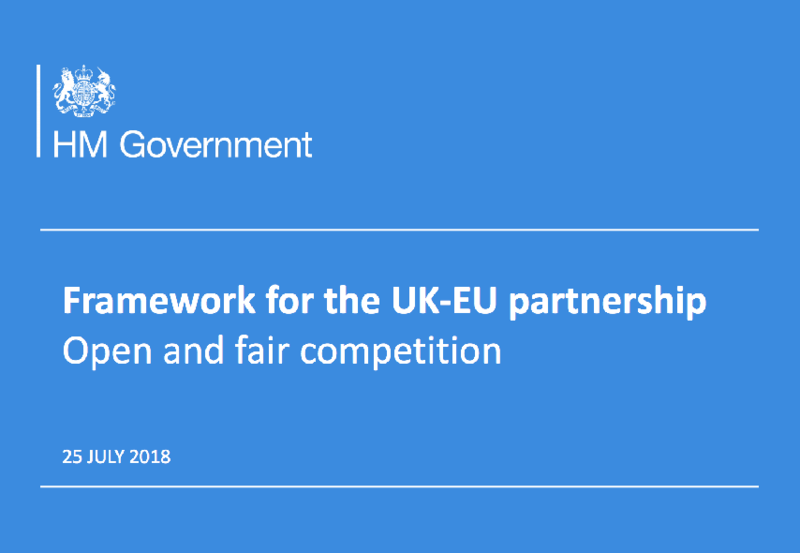 On consumer protection the UK believes strongly in consumer protection, and proposes to commit to maintain reciprocal high levels of consumer enforcement and an agreement on cooperation. To underpin this commitment, there should be provisions in the agreement, including allowing for the mutual exchange of information and evidence, and a framework to work collectively on areas of wider consumer detriment across the UK and the EU.